100 ME:PersonalName 1_ $a Personal name Ruggiero, Adriane. 300 Physical Desc __ $a Extent 239p . : 22cm. 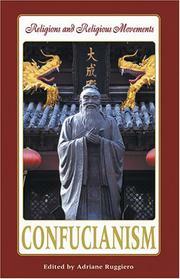 650 Subj:Topic __ $a Topical term Confucianism.